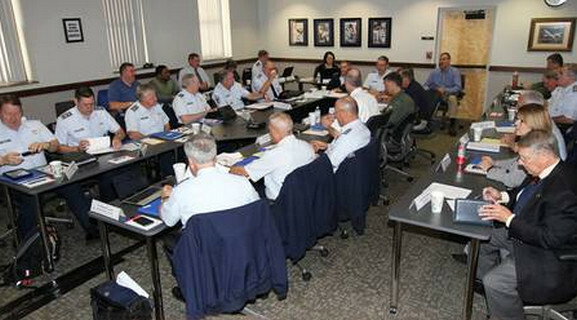 NATIONAL HEADQUARTERS – A historic first meeting of the Civil Air Patrol Board of Governors signaled the dawning of a new day between Air Force and its civilian auxiliary, the Civil Air Patrol. 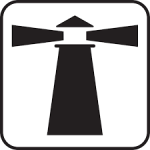 The Congressionally mandated board convened on March 5th 2001 in Crystal City, VA. The Board of Governors consisted of Lt Gen Nicholas B. Kehoe, Chair; Col Richard L. Bowling, Vice Chair; Brig Gen James C. Bobick, CAP; Brig Gen John M. Spiegel, USAF; Brig Gen Paul M. Hankins, USAF; Bruce Baughman, FEMA; Col Michael Pannone, CAP; and Col Bob Bass, USAF. In a vote of confidence for his past initiatives to bring harmony between CAP and the Air Force, the BoG members unanimously elected retired Air Force Lt Gen Nicholas B. Kehoe as Chairman of the newly established board. Kehoe was instrumental in leading both organizations to a united working relationship. “We are all members of the Board of Governors. We have an obligation to act in the best interest of this corporation,” Kehoe said. CAP National Vice Commander Col Richard L. Bowling was unanimously elected as Vice Chairman of the board. Both will serve a two-year term as directed by Legislation. The position of the board’s Chairperson will rotate every two years between CAP and the Air Force. In a letter to the board, Senator Tom Harkin, (D-Iowa), a Senate Appropriation Committee member, directed the board to provide strong leadership to CAP. The meeting agenda included briefings from the Air Force Auxiliary Board, CAP-USAF and CAP concerning the CAP mission in relation to the Air Force, overall funding and present shortfalls and organizational structure. Other items included amendments to the CAP constitution, defining the overall level of authority the board will assume and recommendations for consideration from the CAP National Board. CAP National Commander Brig Gen James C. Bobick relayed the CAP National Board members’ request for classification as to the future duties and authority of the board and CAP National Executive Committee. In a move to define that authority, members agreed that day-to-day activities and actions should remain within the auspices of the CAP National Board. The board unanimously agreed that the BoG, by law, is the governing body. Lt Gen Kehoe summed up the meeting as a success. “I have a hard time understanding how the relationship was anything other than it is today. It is an absolutely wonderful relationship,” Kehoe said. 1 Comment on "Board of Governors Meets for First Time"
I’m Civil Air Patrol and I know two things about Gen Nicholas B. Kehoe that I’m not going to keep quiet. In 2011 Gen Kehoe expressed appreciation to Ms. Easter/CFO and staff for a great job. LT GEN KEHOE, USAF (Ret) MOVED and BRIG GEN CARR, CAP seconded that the BoG accept the 2010 Audited Financial Statements for an Unqualified Audit.